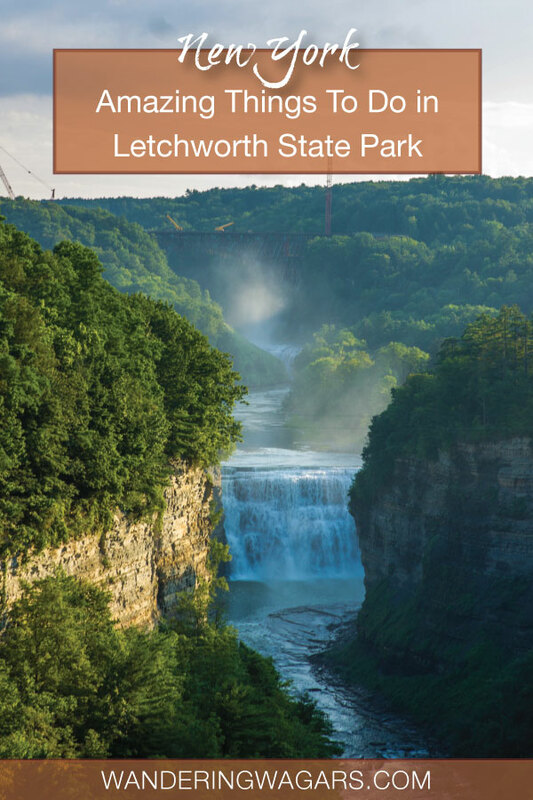 As soon as I read that Letchworth State Park was voted number one state park in the United States I knew we had to make time for a family trip to New York State. 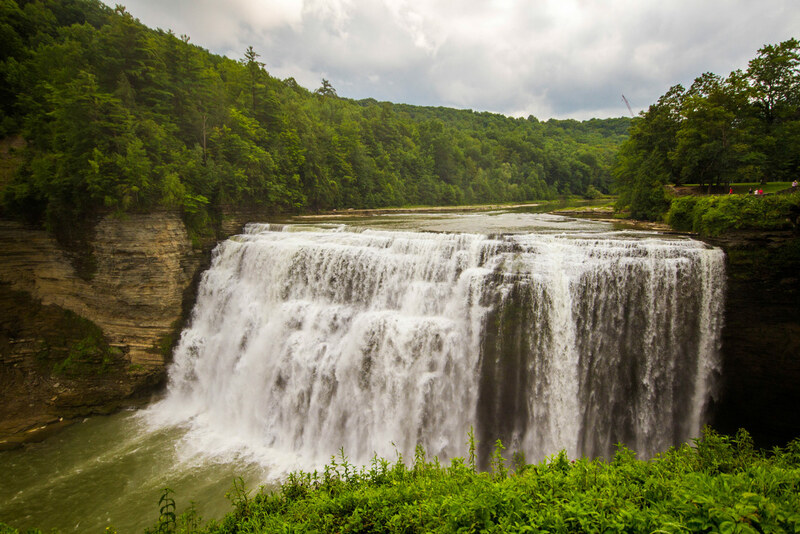 We checked out all of the Letchworth Sate Park things to do and were wowed by the collection of waterfalls, hiking trails, and overlooks that has made this park, dubbed “The Grand Canyon of the East” so popular. Why Is Letchworth State Park Called The Grand Canyon of the East? Letchworth State Park is just 44 miles (77 km) south of Rochester, NY and just a short drive to the Finger Lakes Region and Corning NY. 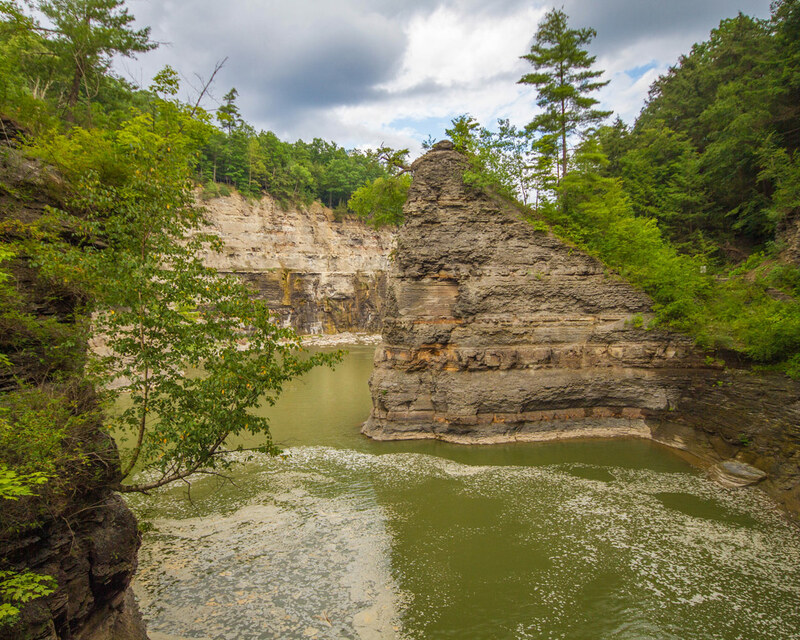 Letchworth Park is long and narrow. It stretches over 14,000 acres along the Genesee River which bisects the park from north to south. In fact, it’s the Genesee River that has helped to form this amazing gorge, and gaining it the moniker of being the Grand Canyon of the East. With sufficient rainfall, over 30 waterfalls can be viewed in the park including Inspiration Point, the tallest waterfall in New York State. 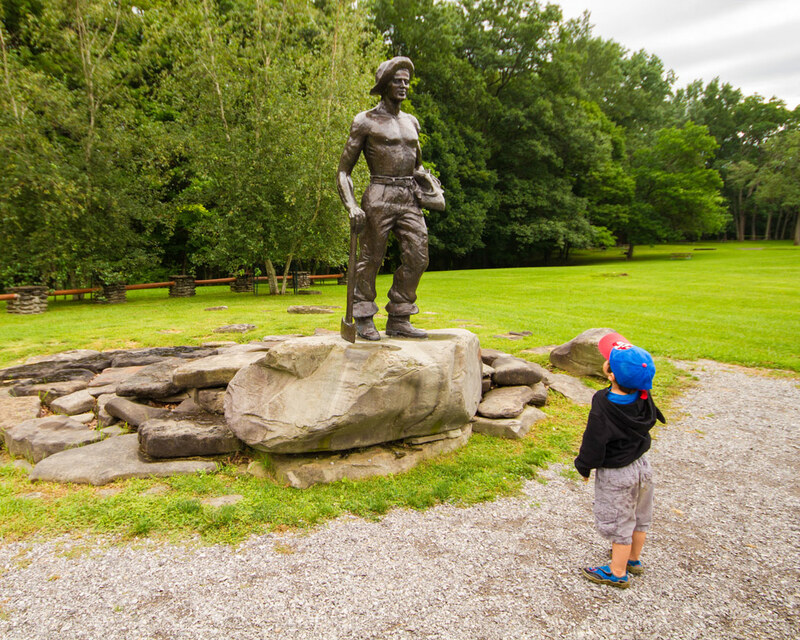 It is no wonder a visit Letchworth State Park with kids was on our bucket list. Don’t confuse Letchworth State Park with New Yorks Ausable Chasm, which has been dubbed “The Grand Canyon of the Adirondacks”. 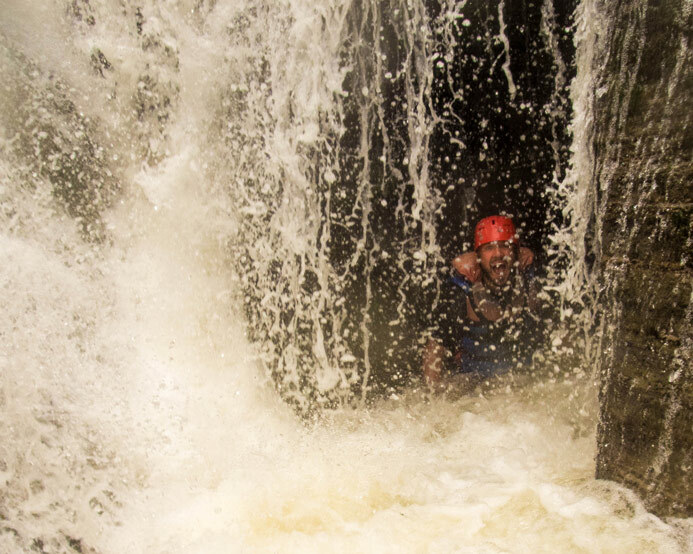 Even though these two epic parks are both beautiful waterall-filled gorges, the experiences are drastically different. 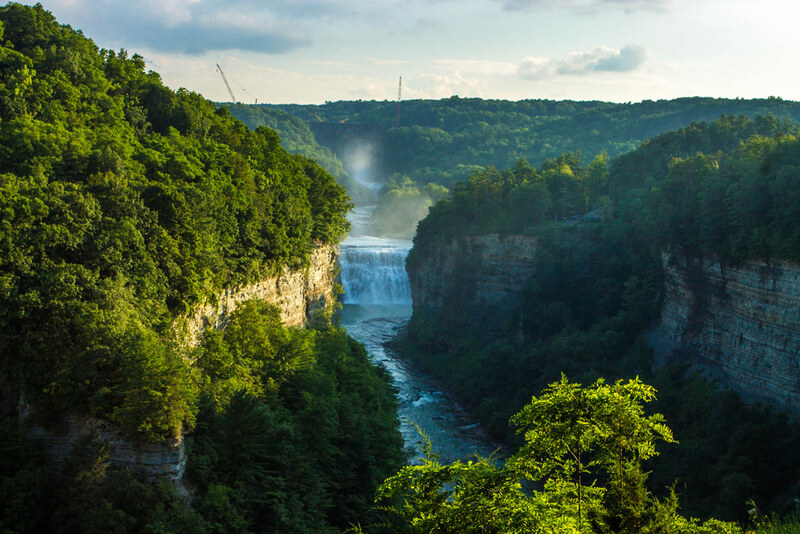 In Letchworth State Park, no matter the water levels, the three main waterfalls, Upper Falls, Middle Falls and Lower Falls can reliably be viewed. Letchworth State Park is open year round. It has many activities to offer its visitors for a multi-day stay. However, those that only have a day to spare can still enjoy the park by doing the Park Road drive and enjoying some of the shorter hikes. At the time of our visit, there was a $8 per vehicle entrance fee which is waived if you are staying within the park. We visited during the weekend in the summer which is considered peak period and did not have any troubles finding parking. Update: The entrance fee was raised to $10 per vehicle in 2018. The entrance fee is only collected between 9 am and 5 pm. There are concession stands and a couple of restaurants distributed throughout the park so food and drinks are always close by. For those that prefer to bring your own provisions, there are numerous picnic tables in various sections of the park. There are playgrounds to keep children entertained and they are conveniently located close to the concession stands and restaurants. Finding a restroom (all restrooms we saw had flush toilets) was never an issue. There was always one attached to a concession stand or restaurant. And they were also located near the lookouts. Letchworth State Park is a “take-in, take-out” park which means you must bring all your garbage with you which is why you do not see garbage cans located throughout the park. So, be sure to bring some bags to hold your rubbish. From Toronto, the 250 km drive to Letchworth State Park is less than three hours making the park an excellent option for a weekend getaway. The exact route to the park will be determined by which entrance you will use. The park has 5 entrances: Mt. Morris (north), Perry (north-west), Castile (southwest), Portageville (south) and the Parade Grounds (southeast). The entrances are open year round except for Portageville and the Parade Grounds which are not open during the winter months. For reference, a map of Letchworth State Park is below. The Portageville entrance is the best entrance to use if you are in the park for a day trip as it is the closest to the waterfall view points. 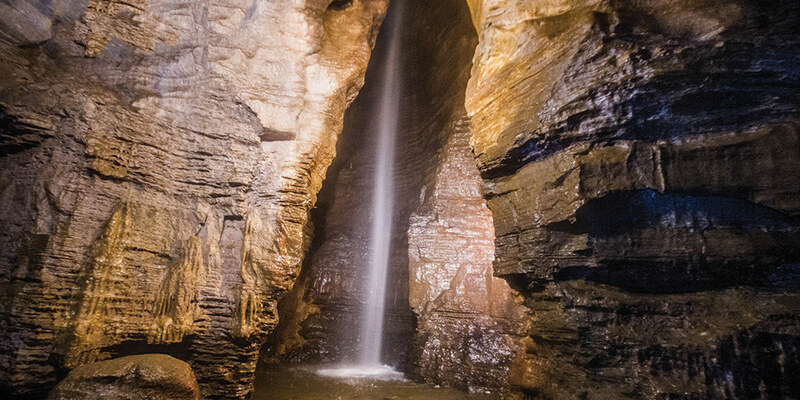 However, during our visit, the Portageville entrance was closed for repairs due to water damage. Instead, we used the Castile entrance which is also the most convenient access point for those staying in Cabin areas A and B. To get to Cabin areas D and E, which is where we stayed, we used the Parade Grounds entrance. 2018 Update: The Portageville entrance was opened in 2018. There is a newly updated parking lot near High Falls that gives easy access to the updated Trail #1 along the top of High Falls. The Perry entrance is used to access Cabin area C and the Highbanks Tent and Trailer Campgrounds. Finally, if you would like to view the Morris Dam from the view point or access the Olympic sized swimming pool at the Highbanks Recreation center, the northern most entrance, Mt Norris is your best choice. 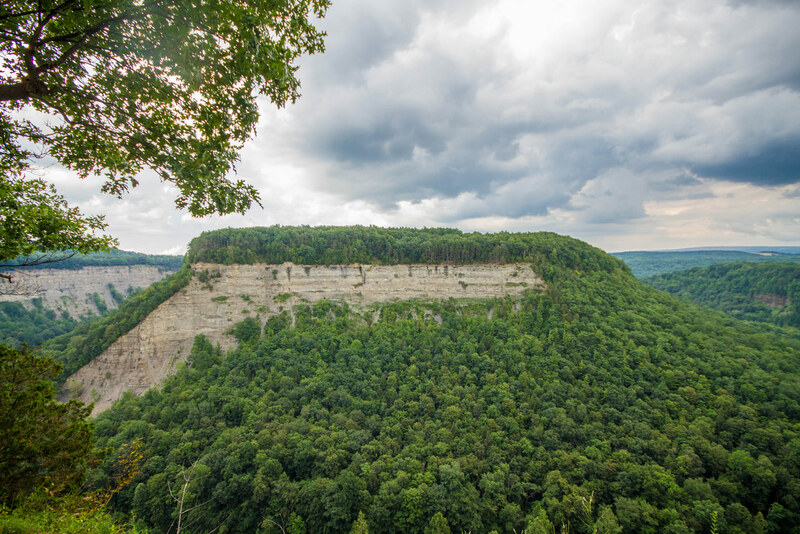 There are several hotels near Letchworth State Park and other lodgings near Letchworth State Park but to we decided to stay within the park so we could be as conveniently located to that sites within the park as possible. The park has 338 sites of which 257 are camps. 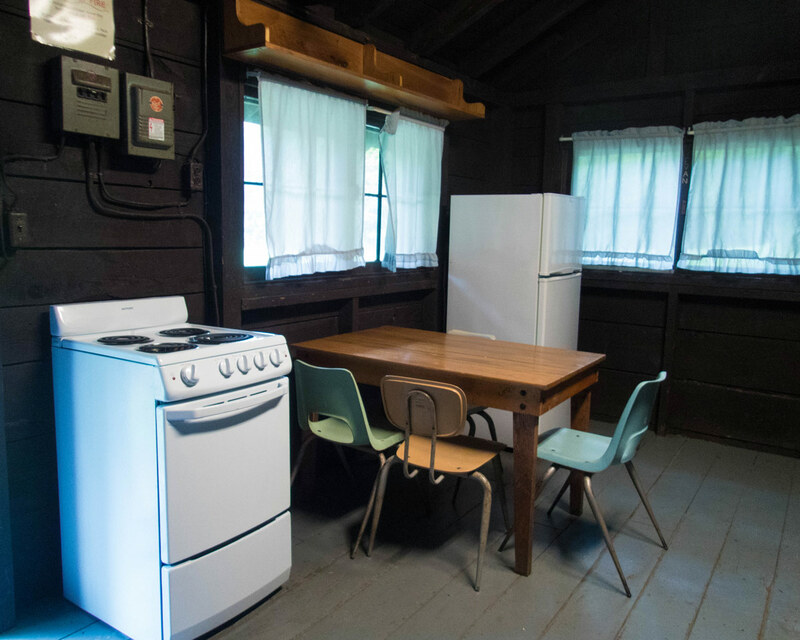 Furthermore, 270 Letchworth State Park camping sites have electrical access. The remaining park sites are cabins. 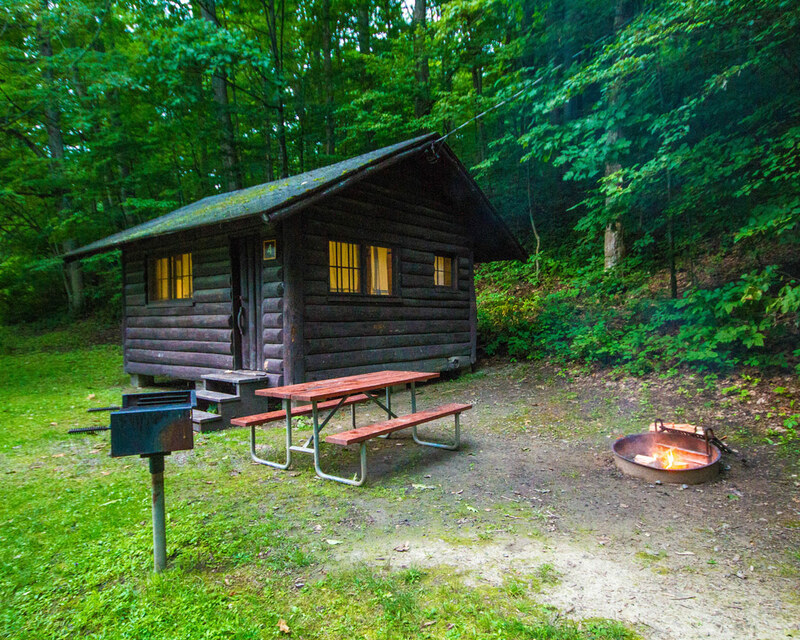 The 81 Letchworth State Park cabins are divided over 5 sections across the park labeled as Areas A – E. The Letchworth cabins require a minimum reservation of 7 days during the high season. Except for Cabin Area E, which is the most rustic of all the cabin accommodations. Area E cabins have a minimum 2-night reservation during high season. As we didn’t have a full week to devote to the Letchworth Park, we opted to stay in Cabin Area E.
Cabin Area E is in a remote location accessed via the Parade Grounds entrance. 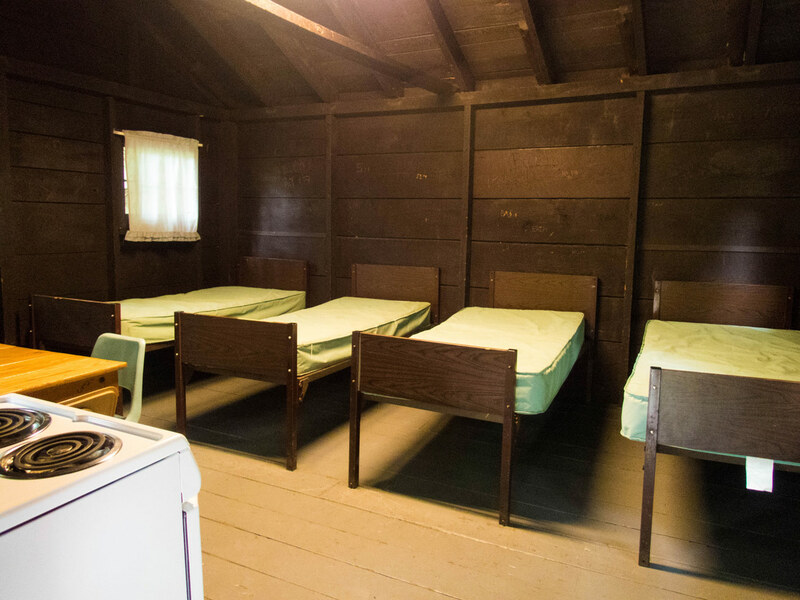 The Cabins had very basic amenities compared to the other Cabin Areas in the park. Each cabin has a full sized fridge, electric stove, table with 4 chairs, and 4 single beds with a plastic covered mattress. The beds are easy to move around. We were able to put two beds together so Kevin and I could be in a “Queen sized bed”. There are several flush toilets that can be accessed a few meters from each of the cabins. For a shower, we had to go to Cabin Area D which was a 10-minute drive away. Each cabin has a fire pit and barbeque. At Cabin Area E there was also a playground with a couple of swings for the kids to enjoy. We brought our own bed sheets, cookware, and dinnerware. If camping and rustic cabins aren’t your thing, there are a few hotels near Letchworth State Park that are worth checking out. The most notable is the historic Glen Iris Inn. The Glen Iris Inn is the former mansion of the parks original owner, William Pryor Letchworth. It is the only hotel in Letchworth State Park itself. The Glen Iris Inn books up very fast so be forewarned. For hotels near Letchworth State Park, check out the Country Inn and Suites in nearby Mount Morris. It has a great location in town and less than 6 miles from the park. You can check out their prices and availability on Booking.com here and Hotels Combined here. There is a paved road that runs through the park and it is aptly named Park Road. From the road, there are several turnoffs for amazing overlooks showcasing different angles of the gorge. 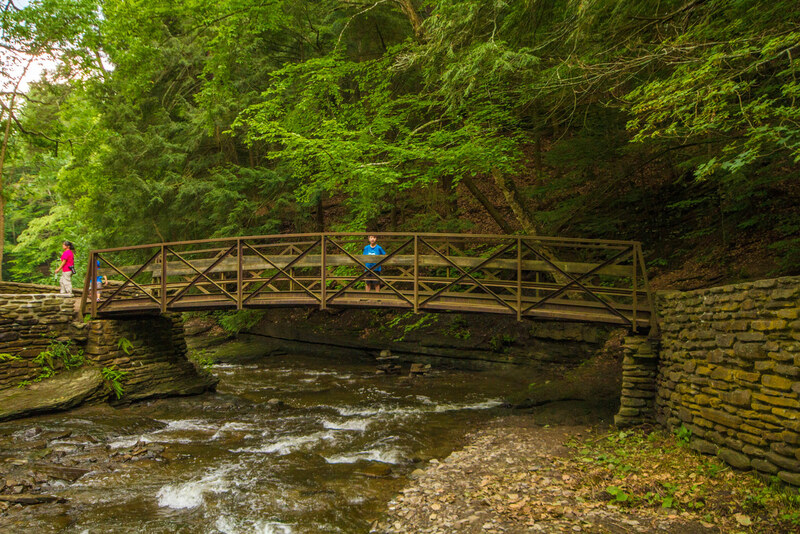 The Park Road drive is a great option for those that only have time for a day trip to Letchworth State Park. Below is our photo-journey driving from the length of the park from the south to the north. 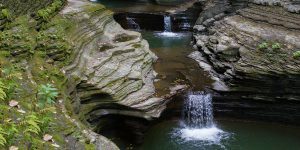 For those the want to do more than the drive when visiting Letchworth State Park with kids, there is a multitude of activities on offer. k to fill many fun-filled days. 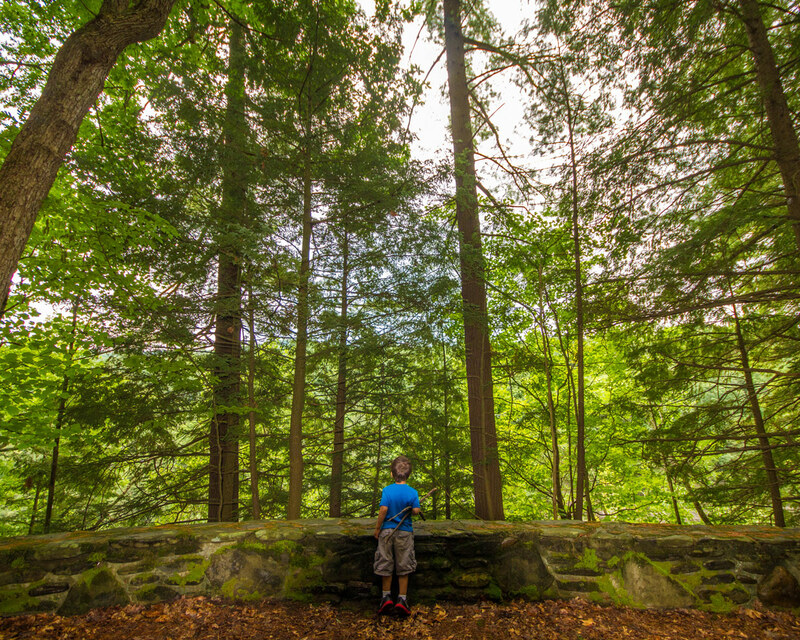 We have outlined some of the highlights below for families visiting Letchworth State Park. 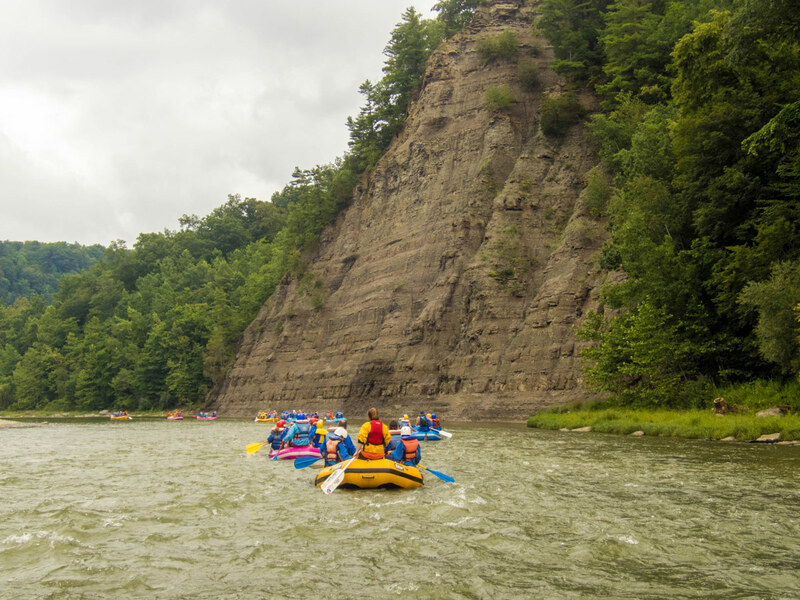 When we found out rafting the Genesee River that runs through Letchworth State Park was a family-friendly activity we could not wait to experience it with the kids. It turns out though, D was shy of the weight limit of 45lbs needed to paddle the Class I and II rapids. Rafting in Letchworth State Park with Adventure Calls Outfitters offered a unique way to experience the park. There is really no other way to pass through the bottom of the Letchworth gorge and waterfalls beyond Upper, Lower and Middle Falls. A rafting trip with Adventure Calls Outfitters starts with getting safety gear (life jacket, helmet, and optional jacket) from the Adventure Calls Outfitters head office near Lower Falls. The rafting team gave us a fun and informative preparation talk covering everything we needed to know about rafting in Letchworth State Park. From there we were bussed across the river. Next, we hiked for 10-minutes down to the river where our large group split into different boats. Between all 15 boats, there were 6 boats with guides. 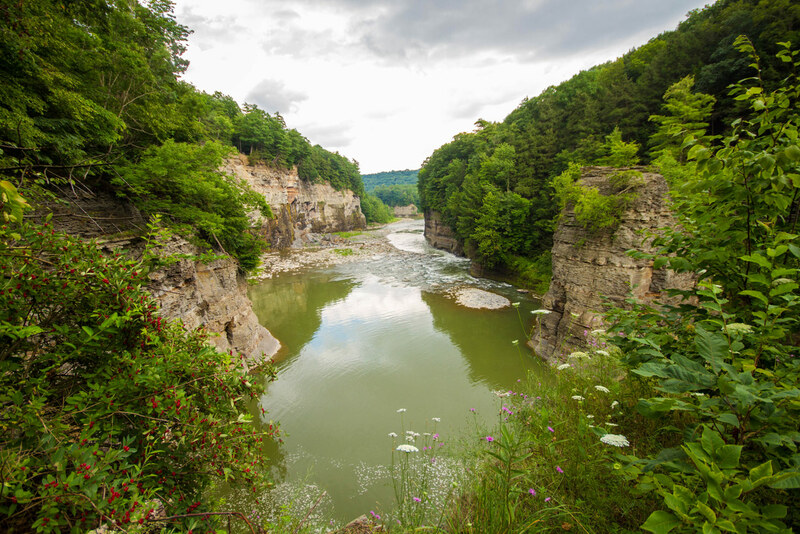 The Letchworth rafting trip covers 5-miles of the river through some of the most scenic sections of the Gorge. One of the most beautiful was the section through the Letchworth Big Bend. Also, it includes a stop at the base of Wolfs Creek where a gorgeous waterfall that we could sit behind was waiting for us. The first recommendation from the park staff when they saw C and D was that we stop by the Humphrey Nature Center. The newly renovated museum has interactive exhibits and many displays showcasing the plants, wildlife, and geology of the park. The area outside the center is also equally impressive with a butterfly garden and bird observation station. Last, the Humphrey Nature Center is also the starting point for a handful of hikes including the kid-friendly Trout Pond. The Grand Canyon of the East has 27 trails numbered from 1 to 22. Each trail also has a name. 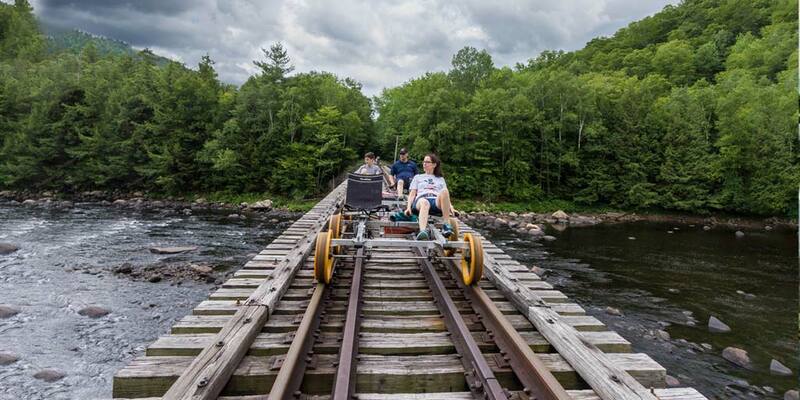 For example, Trail #1 is the Gorge Trail. In addition, a portion of the Finger Lakes Trail also runs north to south along the eastern border of the park. The trails range in length from 0.8 km (0.5 mi) to just over 38 km (24 mi). The trails are either large and paved with stones or are narrow and unpaved. In either case, the trails can get very slippery when wet. In fact, during our visit, a handful of the trails were closed due to landslides. Even portions of the Gorge Trail, which is paved with stones, has been closed at certain times. It is best to check with the Visitor’s Centre first. Grab a map and ask about the current status of the trail you are looking to use. Besides hiking, the trails can also be explored by bike and horse. During winter time, some trails are open for cross-country skiing, snowshoeing, and snowmobiling. 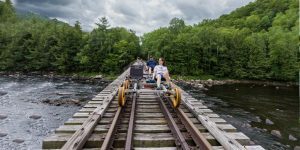 As we were only staying at the park for a couple of days, we opted not to hike the Gorge Trail. Instead, we hiked Trail #6: the Portage Trail for a close-up view of Lower Falls. 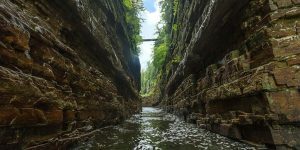 We also crossed the Footbridge (Trail #6a) which is a beautiful stone bridge that reminded us of Watkins Glen State Park. The bridge is the only foot bridge over the Genesee River and connects the east and west sides of the Park. Letchworth State Park is traversed by the Genesee River. So, with the hot summer sun beating down on us, jumping into the river was a refreshing idea. However, there were no swimming signs along the lookout points and the hiking paths. However, the Park does have 2 swimming pools. There is a small pool in the southern portion of the park. Although, at the time of our visit, the pool was closed. In fact, it didn’t look like it had been open for years. There were also no signs that the area was going to be renovated any time soon. However, there is an Olympic sized swimming pool at the Highlands Recreation Area in the northern part of the park. Entrance to the pool is a separate fee ($2 in 2017). One of our favorite activities when traveling is definitely wildlife spotting. Some of the wildlife that can be spotted include white-tailed deer, groundhog, wild turkey and various birds. In fact, a majority of the park is considered a Bird Conservation Area. Because of this, the park is recognized as a National Audubon Society Important Bird Area. 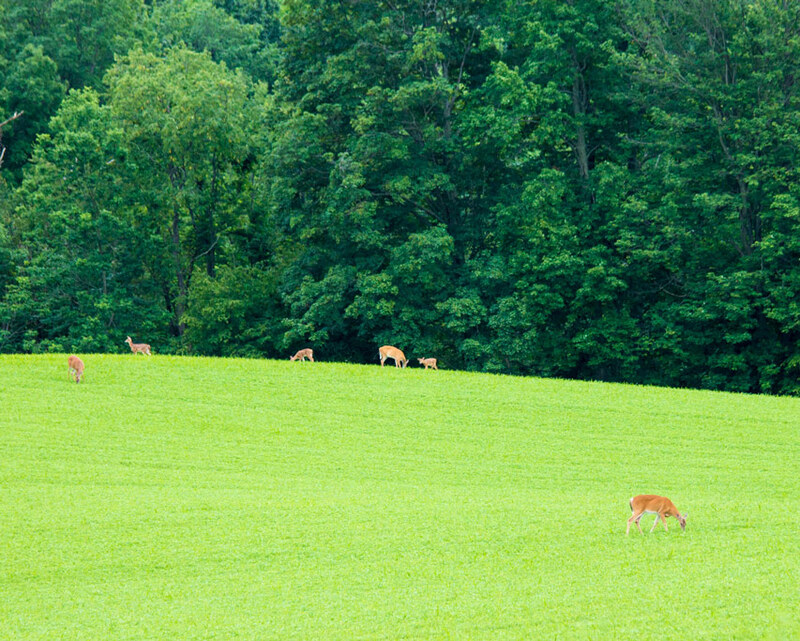 We spotted wildlife at Letchworth State Park while hiking on one of the many trails, picnicking, from the campsite or even while driving around or to the park. We were headed to the Castille Rd entrance when right before reaching the Visitor’s entrance gate we saw over 20 deer grazing on the fields around us. A wonderful way to get an overview of the park is to go on a hot air balloon ride. The rides take off from inside the Middle – Upper Falls picnic area. The rides last anywhere from 45 – 60 minutes depending on the weather. 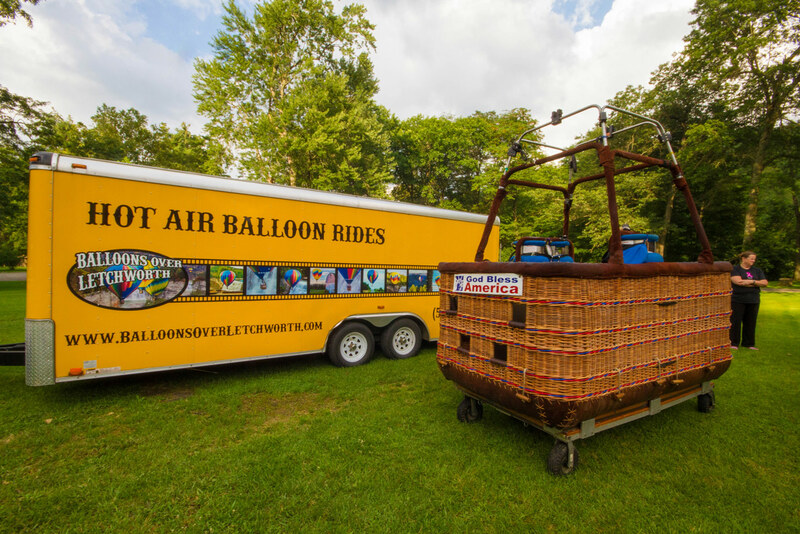 Unfortunately for us the minimum age to go on a hot air balloon ride is 12 years old. So, this would be a perfect activity for families with teenagers (or an almost teenager). Balloons Over Letchworth, the company that has been taking visitors over Letchworth State Park, celebrated their 30th year anniversary during our visit. The kids enjoyed inspecting the hot air balloon basket up close. There was supposed to be a demonstration as well, however, due to weather, it was canceled. We did get to see one in the air the day before. Needless today, it is definitely on kid’s bucket list. 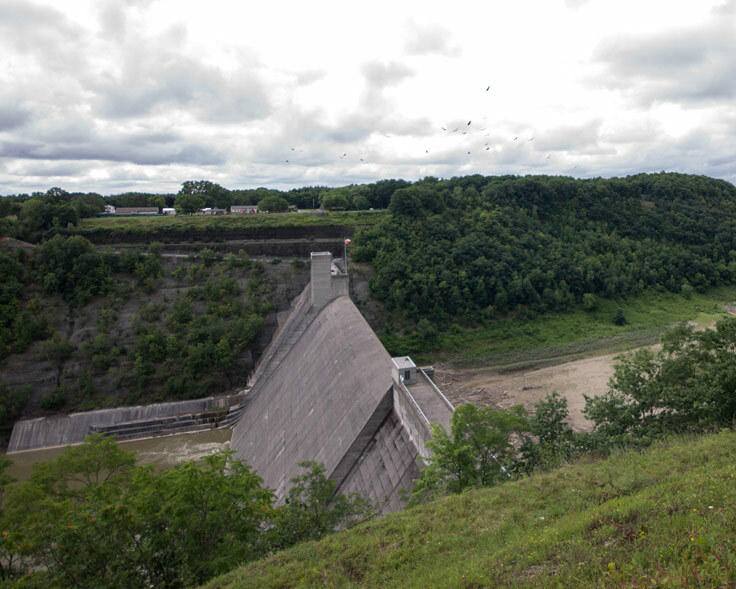 Access to the Mount Morris Dam and Recreational Area is actually across the Genesee River from the view point for the Mount Morris Dam. There are free daily tours Monday – Thursday. During Friday – Sundays tours run twice per day. Arrive early as there is a maximum limit of 30 people/tour. 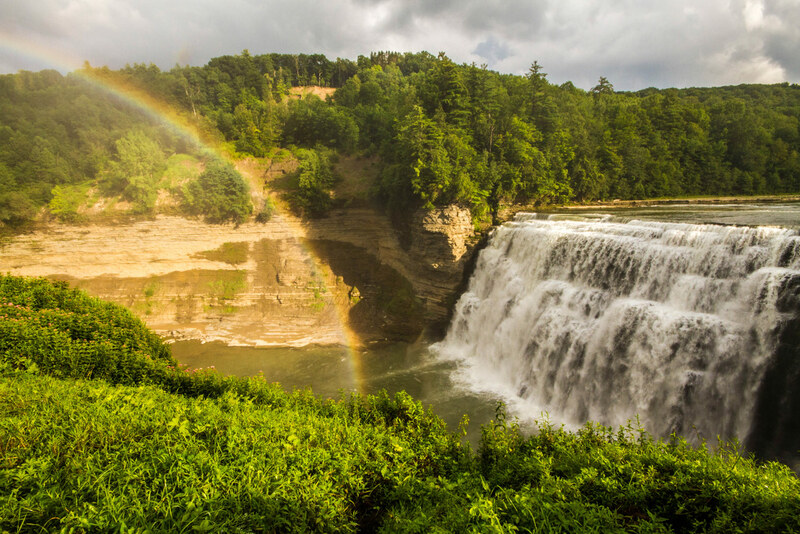 Do you have a favorite part of Letchworth State Park? Or do you know another amazing place nearby that we should check out? Let us know in the comments below. Or swing by our Facebook page and share a photo with us. We would love to share in your journey. Read: Explore Niagara Falls: Which Side Is Better? Did you just say 30 waterfalls?! There’s nothing I love more than chasing waterfalls and hiking to take in views like this when in the great outdoors! 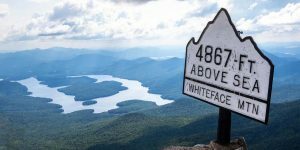 Definitely going to add this place to my list — I’ve never been white water rafting, so that should be a fun to put on my bucket list! Sounds like you’ve got a lot of reasons to visit! What a beautiful park, and I’d never even heard of it before! Middle Falls are simply gorgeous — wow! 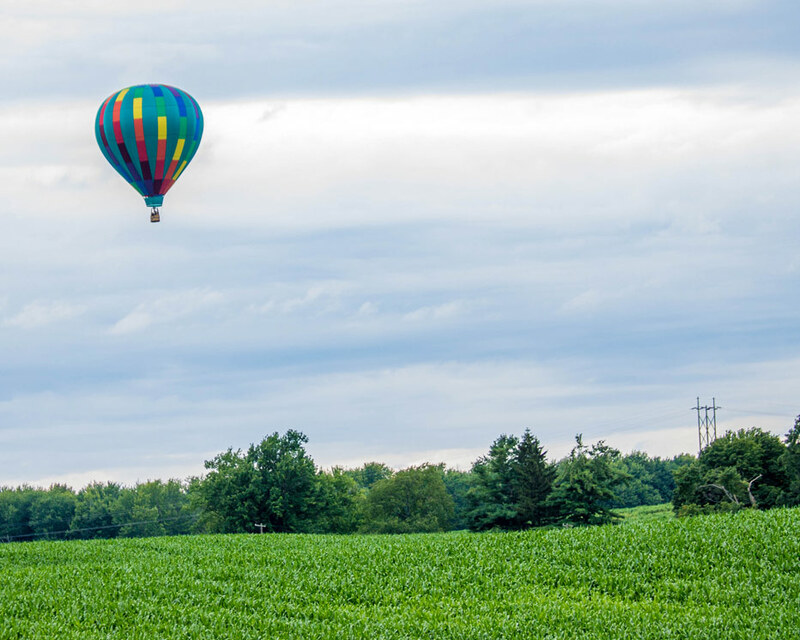 And I’d love to go on one of those balloon rides — it’s on my bucket list but it hasn’t happened yet. Any idea how the park gets its name? Letchworth isn’t something you hear every day. Hi Tami! Suzie, a few comments down breaks down how Letchworth got its name and gives some great points about the history of the park. I’ve been to Rochester a few times and never visited Letchworth. Adding to my to-do list for next trip! I’ve never EVER heard of this before but was sold by the time i saw the log cabin!!! And then I watched the video. This place looks awesome! Such splendid scenery! The waterfalls look breathtaking. I love how they cater so well for families – especially with the playgrounds and swimming pools. The accommodation looks a bit basic but lots of fun activities to do in a picturesque setting. Looks great for families and those without kids as well. While our choice of accommodations was definitely rustic, Letchworth offers a wide variety of places to stay, for all levels of comfort. What a beautiful place! 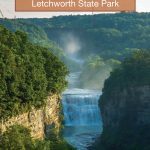 I had never even heard of Letchworth before reading this post but I’m now bookmarking it for a future family trip. The waterfalls are spectacular and my kids would love to try rafting. Great post! What a beautiful park! I love Inspiration Point- how gorgeous! I may be headed in that direction for a big upstate NY road trip so I will have to check it out. For the person (Tami, I believe) who is wondering why the park is named Letchworth: it is named after the man who originally owned a part of the park, William Pryor Letchworth, who came to the area in the 1800’s, saw the land, and knew he had to build his house there. The Glen Iris Inn, which is located near the Middle Falls, is his original house. Today, it is a Bed and Breakfast, as well as a restaurant and gift shop. There is a museum located across from the Glen Iris, and you should make sure to stop there when visiting the park! Mr. Letchworth bequeathed the land and his beloved house to the State to become a park. He was an advocate of preserving the land, and also planted a wide variety of trees to add to the flora and fauna. I am blessed to have the park literally in my back yard. I wake up every day and look out my kitchen window to see the fog resting in the gorge early in the mornings. It’s a beautiful park, and all of us locals are very proud of it and hope everyone has a chance to visit it! Thank you so much for this great information! A gift like this by Mr. Letchworth is the best kind of legacy to leave behind. A very nice overview of Letchworth State Park. You might consider staying at the Glen Iris Inn located above the Middle Falls (for those less inclined to rough it). The Inn had it’s guest rooms renovated last winter – very nice along with a fantastic restaurant. The Inn was originally the retirement home of Mr. Letchworth, who had the foresight to buy up much of the core part of the park and then gift it to New York State Parks, for the public’s enjoyment and preservation. The Humphrey Nature Center, is a must visit location – especially if you can’t get here often and wonder what lives in and near the park, as well as what it looks like during the 4 seasons. The Center was opened to the public in 2016, with significant financial donations from of many long time patrons of the park. I highly recommend stopping for a few minutes of rest here to watch the aerial video of the parks 4 seasons. I grew up near by and was amazed at the winter scenes of the Park’s Genesee River Canyon scenes. 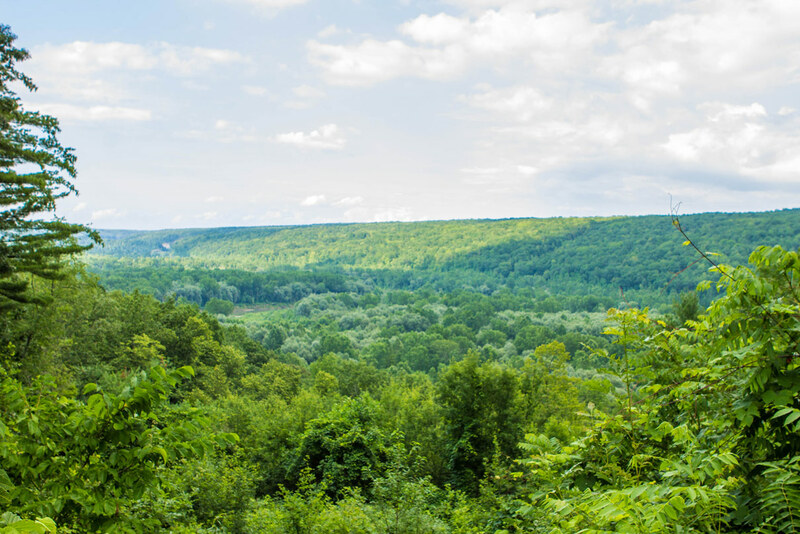 Viewers see the same vantage points in the River gorge during each of Spring, Summer, Fall and Winter. Those are amazing tips. The Inn looked wonderful but was out of our price range for our visit. But the cabins gave us a chance to see a different angle to the park. The Nature centre is fantastic, and definitely, a must stop for visitors, especially those with children. You’ll be happy to know that 4 hours will give you lots of time to experience the beauty of Letchworth. I recommend exploring as much of the upper, middle, and lower falls as you can. Middle falls is especially beautiful. There are some nice stone pathways and overlooks. You should have time to take a leisurely drive from the falls to the dam while making stops at the key overlooks along the way. If the falls are your priority, I would focus your attention there. The dam can be kind of meh if the water isn’t flowing strong. 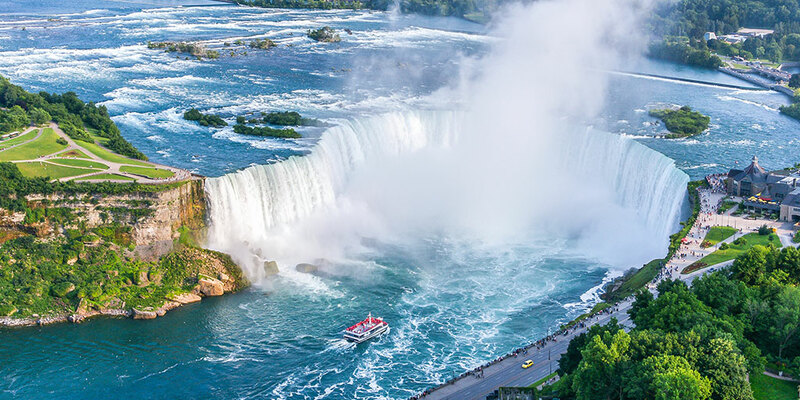 You should also check out our Niagara Falls posts. We have a great outline on what to see on the US side before making your way to the Canadian side.